The Cornell Cooperative Extension – Lake Ontario Summer Fruit Tour in Western NY will be held significantly earlier than usual this year due to Dr. Terence Robinson’s upcoming sabbatical. It will be held on Wednesday, June 17, 2015. 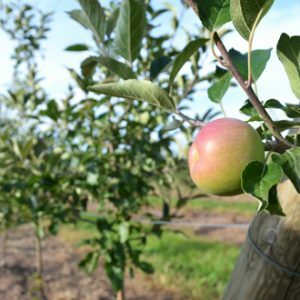 We will feature tree fruit production technology and grower innovations in Wayne County. The CCE-LOF team is making plans now with Cornell University faculty, and the growers in the region for this show-and-tell day of networking with the fruit industry. At the regional tours we typically reach 250 growers from across the state.